has a message for -- Want a rematch? Get in line. 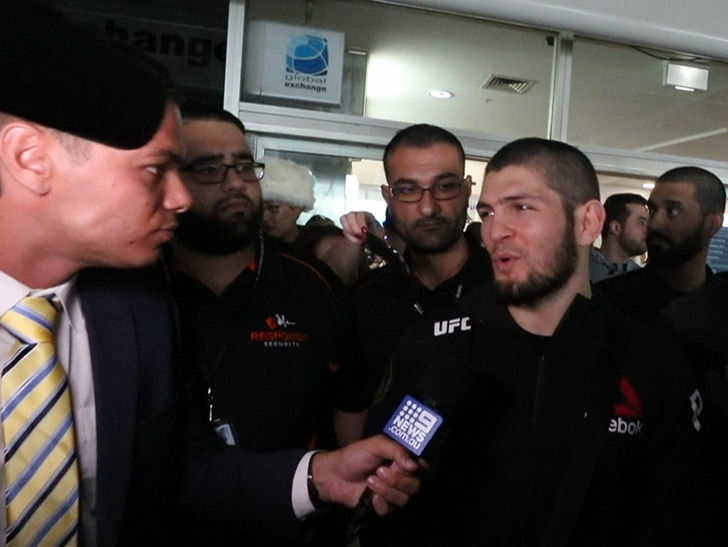 The UFC superstar touched down in Australia with his crew on Wednesday where he was swarmed by local media and fans. Khabib was super cool with everyone -- taking selfies and talking with people -- but the headline here is the trash-talk directed at McGregor. One of the reporters asked if Conor should get the rematch -- to which Khabib smirked and said, "Rematch for what?!" The reporter brought up Conor did before their fight at UFC 229 back in October -- Khabib again shot back with an insult. "Before last fight he talked too. But, when we go inside the cage, he don't do nothing." Of course, Khabib mauled Conor before McGregor . Despite Khabib's position, UFC boss Dana White told TMZ Sports he IS and it should go down in 2019 ... if everything goes according to plan. The two had been trading barbs on social media recently -- with Khabib posting a video clip showing him strangling McGregor with the caption, "You will live with this shame all your life #tapmachine."